If your furniture looks tired and sad, you can probably relate to these Lar Center Decoration Mall ads that depict worn-out furniture in need of some TLC. Perhaps you do have furniture similar to this and have been in denial about just how badly it needs replacing. Either way, these Lar Center Decoration Mall ads will get you thinking about the old furniture in your house and whether you are in need of a change. 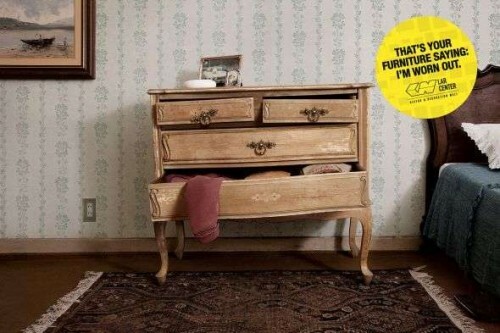 These April 2011 print ads were done by advertising agency Moma in Sao Paulo, Brazil. 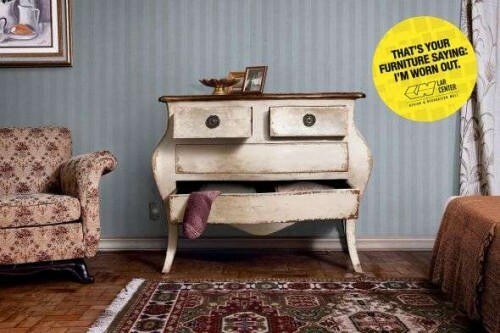 The text featured in the ad, “That’s your furniture saying: I’m worn out,” successfully reflects the images used within the print ads. 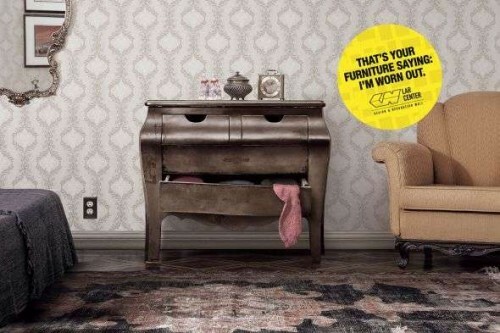 By showcasing personified furniture, these ads help consumers to rethink their furniture and whether it needs a pick-me-up from the Lar Center Decoration Mall.